Anna and Sanu Gurung’s dream day at the Royal Garden Party on Tuesday, was made even better when the couple were singled out for a chat with Her Majesty The Queen. 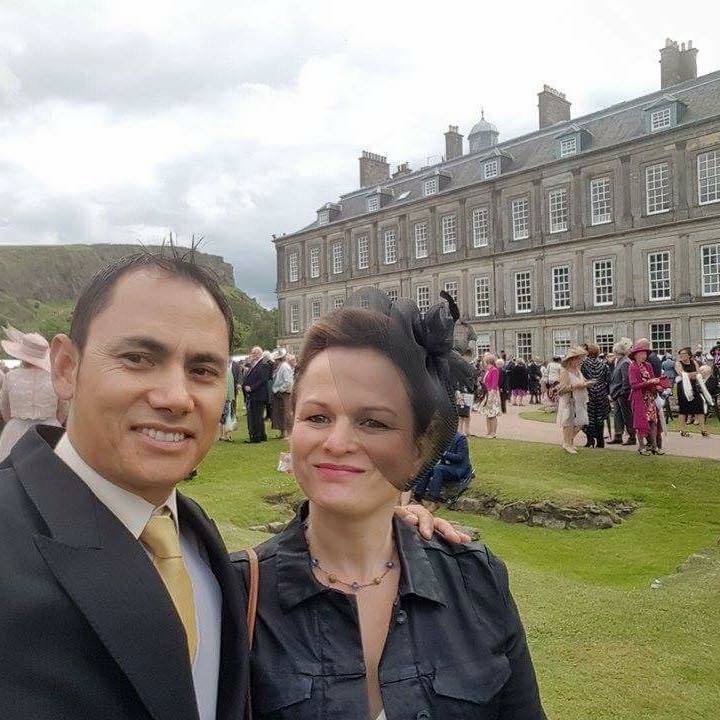 The pair, who founded Perthshire charity Bring Back The Smile To Nepal following last year’s earthquake, were invited to the Queen’s Garden Party at Holyrood Palace this week. 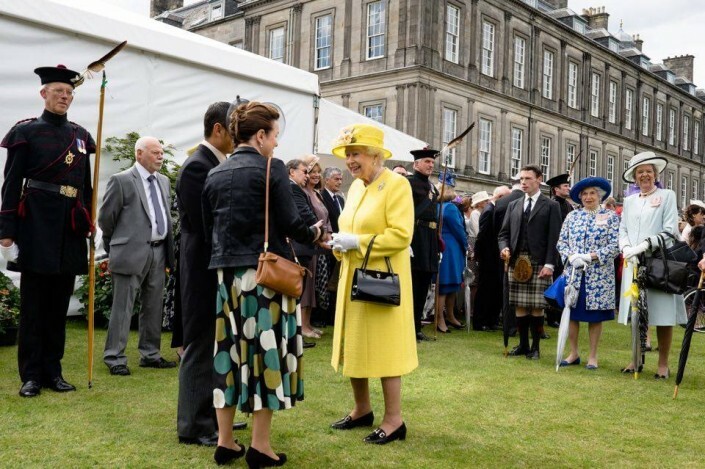 The once in a lifetime experience, however, was elevated to dream status when the Queen’s Equerry plucked Anna and Sanu from the 8,000 guests for the chance to meet Her Majesty in person. The guests take their places in “lines” and the Royal Family then leave the Royal Tent to meet the attendees. Her Royal Highness, Prince Philip, The Earl of Wessex and the Princess Royal were all at the Garden Party this year, as part of the Queen’s 90th Birthday celebrations. 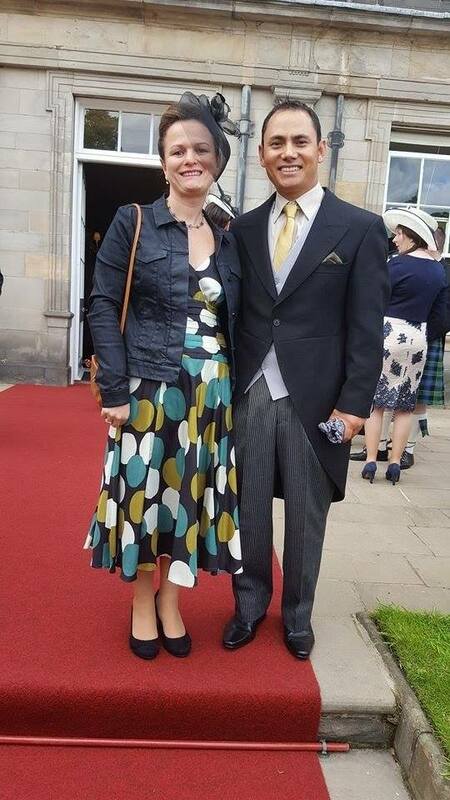 Also at the prestigious event were Scottish First Minister Nicola Sturgeon and TV personality Philip Scofield. It soon became apparent to the gathering photographers and journalists that Her Royal Highness, Anna and Sanu were engaged in an unusually long conversation, with the Queen clearly enjoying their time together. A photograph of the couple with the Queen was quickly issued to the media, by the Palace Press Office, and rapidly went viral. It showed Her Royal Highness looking lovely in vibrant lemon, chatting naturally and clearly enjoying the experience. After the pleasant distraction of the Garden Party however, the work of the charity goes on. 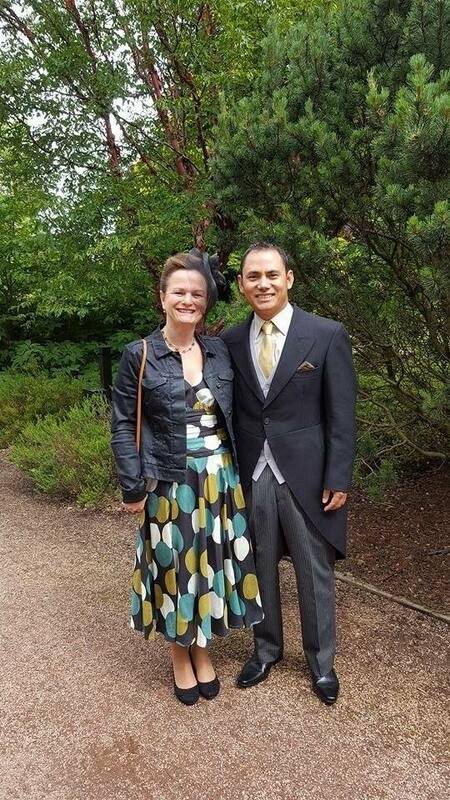 Anna is now heading to Nepal to continue the projects she started earlier this year. More information on the charity’s work is available by visiting www.bringbackthesmiletonepal.org or via the charity’s facebook and twitter pages.